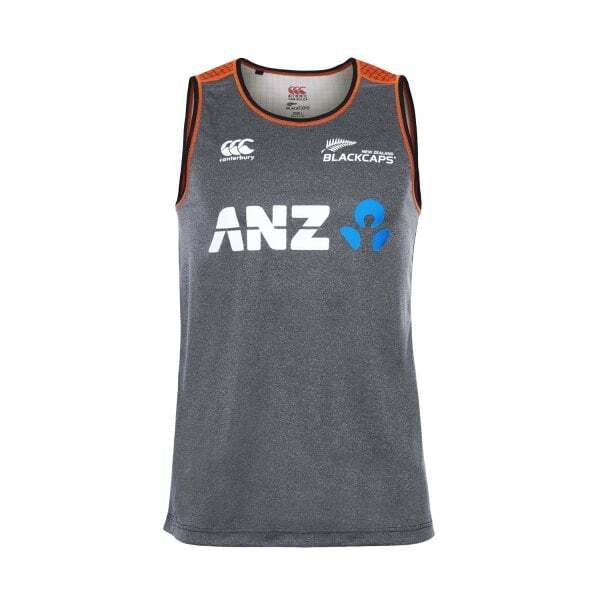 Lightweight and quick drying to keep you in the thick of the action, Canterbury’s VapoDri Training Singlet is ready to tackle the toughest on field training sessions. Its patented VapoDri moisture-wicking technology wicks sweat away from your skin to keep you cooler and drier for longer. And its 100% lightweight, breathable Polyester Pique construction ensures plenty of freedom of movement while you train. Finished with a pop of bright neon orange on the back and trims, this quality garment is part of our official 2019 Black Caps training range and deserves pride of place in every cricket fan’s training wardrobe.